2013 Sherco SM 50 Supermoto. Picture credits - Sherco. Submit more pictures. Based on our expertise in the popular off road market and especially in our excellent record in competition,Sherco is now offering a motorcycle to the general public that embodies all of the merits of themark for a small amount of money. The Sherco SM50 is bound to please those who want to legitimately take advantage of the technical expertise and competitive achievements of the brand and stay within a tight budget. Ask questions Join the 13 Sherco SM 50 Supermoto discussion group or the general Sherco discussion group. Rate motorcycles you know and help your fellow riders to find the bike that is right for them. Bikez has the most users and the most extensive motorcycle rating on the net. It includes reliability, design, engine performance, accident risk, repair cost, offroad capabilities, racing track capabilities and touring capabilities. The ratings are also used to rank the 100 most popular MC models each year since 1990. The lists	are adjusted weekly as new ratings are added. 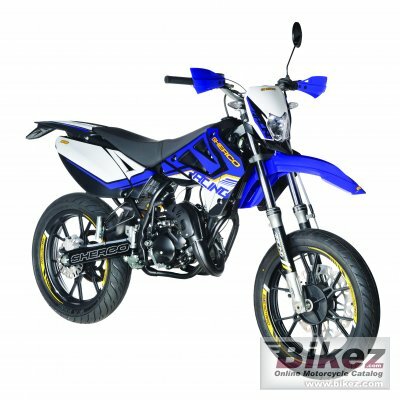 You can check out the rating of the 2013 Sherco SM 50 Supermoto and compare it to other bikes here.